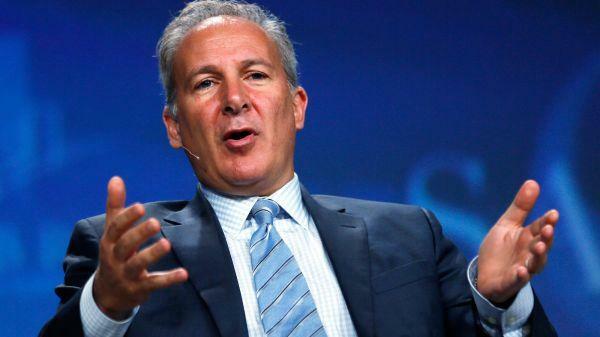 Peter Schiff: "We're On The Precipice Of A Much Bigger Crisis Than The Last One"
Money manager Peter Schiff was in a small group warning of a coming financial meltdown that happened in 2008. Schiff says, “I was kind of a fixture on financial cable TV giving these warnings. My thought was the bubble would burst, and I knew that it would..."
Ten years later, Schiff is warning of another financial calamity bigger than the last one. Schiff says, “The problem is now we are on the precipice of a much bigger crisis than before..."
"The next time, if they try to reflate those bubbles, which they will, it will be a spectacular failure because the markets are now prepared for the opposite. Everybody, right now, assumes the Fed is going to be able to keep raising rates. They assume they are going to shrink its balance sheet and that we have this booming economy that will never bust. When the Fed has to reverse course abruptly, acknowledge the underlying weakness that everybody has been oblivious to and they start cutting rates and launching another round of quantitative easing (money printing), I think the dollar is going to fall through the floor. I think the inflationary fires that are already burning pretty hot are going to ignite. It’s not going to be like 2008 where the dollar went up and consumer prices inched down a little bit. I think the dollar is going to tank and consumer prices are going to soar, and it’s going to be stagflation. When the markets get a whiff of that, they are not going to like the way it smells. On gold, Schiff contends, “People are going to be dumping their dollars and buying gold..."
"If you understood what the Fed was doing, you would be buying gold, but most people don’t understand. You can look at what has happened to gold prices in terms of other currencies, such as emerging markets. Obviously, gold prices in those countries measured in those currencies have gone up dramatically. So, gold has acted as a store of value and a store of purchasing power in every country where the currency has come down. The same thing is going to hold true of the United States...We could do a reset. We could go back to sound money. We could go back on a gold standard, and we could devalue the dollar officially. I don’t know exactly how high the price of gold would have to be, $10,000 per ounce, $20,000 per ounce, who knows, but there is a price where we could go back to a gold standard. If we want to stay on a gold standard, that means the government would have to live within its means. That’s why governments hate gold standards because it provides discipline to government." Join Greg Hunter as he goes One-on-One with Peter Schiff, founder of Euro Pacific Capital and Schiff Gold.